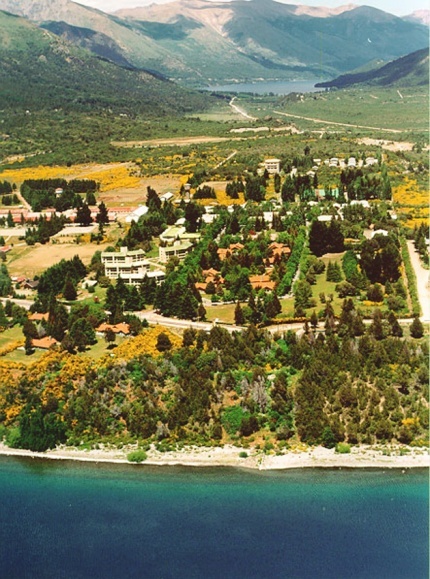 We are organizing a STATPHYS27 satellite workshop in Bariloche, 2-5 July 2019, on yielding in amorphous materials and related phenomena. https://yielding2019.sciencesconf.org/ Save the date! Has been accepted for publication in RMP. I’m very happy and truly honored by the responsibility of becoming an Editor of Papers in Physics. This is a non-profit, accessible price, open-access journal, ran by physicists for physicists. Which further allows the “open review” treatment, that highlights not only the work done by authors but also by referees and editors. The journal platform needs a touch of modernization, that’s true; but we’re working on it. The assignment of an official impact factor is expected soon and we will boost this journal up. Magnetic domain wall motion is at the heart of new magnetoelectronic technologies and hence the need for a deeper understanding of domain wall dynamics in magnetic systems. In this context, numerical simulations using simple models can capture the main ingredients responsible for the complex observed domain wall behavior. We present a scalar field model for the magnetization dynamics of quasi-two-dimensional systems with a perpendicular easy axis of magnetization which allows a direct comparison with typical experimental protocols, used in polar magneto-optical Kerr effect microscopy experiments. We show that the thermally activated creep and depinning regimes of domain wall motion can be reached and the effect of different quenched disorder implementations can be assessed with the model. 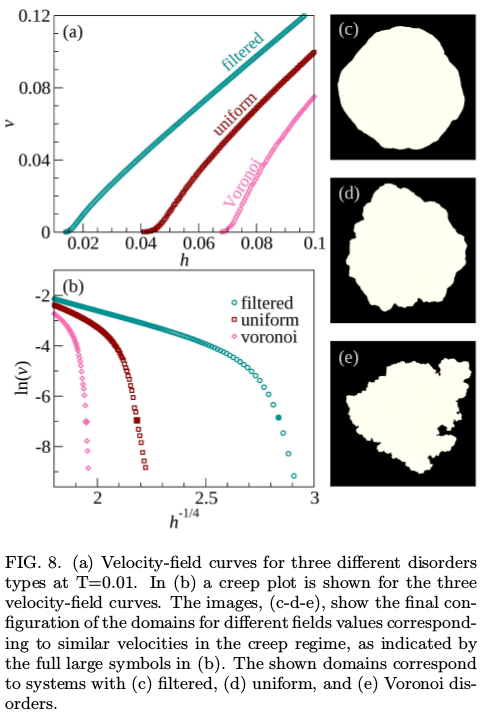 In particular, we show that the depinning field increases with the mean grain size of a Voronoi tessellation model for the disorder. The origin of the brittle-to-ductile transition, experimentally observed in amorphous silica nanofibers as the sample size is reduced, is still debated. 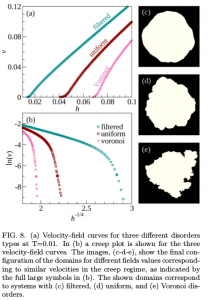 Here we investigate the issue by extensive molecular dynamics simulations at low and room temperatures for a broad range of sample sizes, with open and periodic boundary conditions. Our results show that small sample-size enhanced ductility is primarily due to diffuse damage accumulation, that for larger samples leads to brittle catastrophic failure. Surface effects such as boundary fluidization contribute to ductility at room temperature by promoting necking, but are not the main driver of the transition. Our results suggest that the experimentally observed size-induced ductility of silica nanofibers is a manifestation of finite-size criticality, as expected in general for quasi-brittle disordered networks. A nice collaboration with Silvia Bonfanti, Alessandro Sellerio, Roberto Guerra and Stefano Zapperi at CC&B Milano. A ‘Just-Accepted’ version of the manuscript can be found here. Our new preprint on magnetic domain wall creep and depinning is available online!!! Last November 17th I had the pleasure of present a seminar at Dipartimento di Biotecnologie Mediche e Medicina Traslazionale, UNIMI, in Segrate, Italy. I was surprised by the amount of people that showed up in the room and participated in the discussion. I’m thankful to Fabio Gavazzi and Roberto Cerbino for their invitation and warm welcome. Happy to be part of the third workshop of the Center for Complexity & Biosystems, University of Milan, with a broad interdisciplinary scope.